Having a private toilet and shower as part of your cabin was about $15,000 per person on the Trans-Siberian train and for the Silk Road, it was around $11,000 per person. With this secret tour, your own private bathroom is included at $6,995. HUGE SAVINGS! We own the whole train, it will only have Fun for Less Tours passengers along with the staff on the train. They have two restaurant train cars. Both cars have more room and are more luxurious than our other train tour restaurant cars. 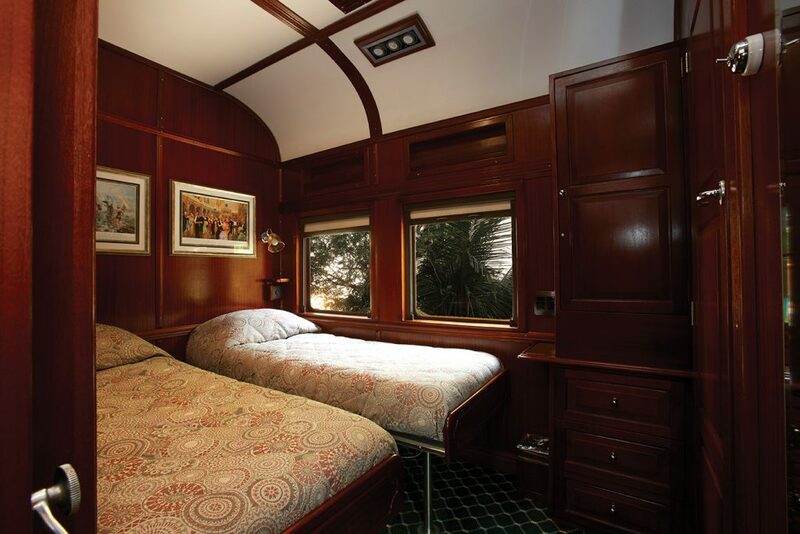 There are not any lounge cars with our Trans-Siberia and Silk Road Train Tours. Our special Africa Train has TWO Lounge cars. There is enough room between the two cars to fit every one of our passengers on a couch or chair between the two lounge cars. Also, the lounge cars have very large picture windows to look out. On a few of the nights, the train will park while we overnight in deluxe safari lodges and enjoy safari game drives into National Wildlife Parks. Limited numbers; Our Trans-Siberian train held over 200 passengers and our Silk Road was around 95 passengers. With our Secret Africa Train Tour, we will be around 65 passengers. There are two cabin categories; both categories include a private bathroom and shower. One is called the Elephant Category and the other the Leopard Category. Elephant Cabins: Has two lower beds or one large bed. It is very important to know there are no sitting chairs or couches in the Elephant Cabins. The only place to sit is on your bed. It is important to remember that this train has two lounge cars with plenty of seating. So you can always go to the lounge car to find a couch or chair. Leopard Cabins: They are substantially larger with a sitting area and desk. We highly recommend these cabins for those that can afford it. These cabins cost $1,370 more per person but are much more roomy and comfortable. There is a large suite if anyone would like to get a quote. Important note: We are limited to the number of Elephant Cabins and Leopard Cabins. The only way we can assure you get the cabin category, you would like, is if you call us ASAP and place your order. Cabins will be on a first come first reserved basis. 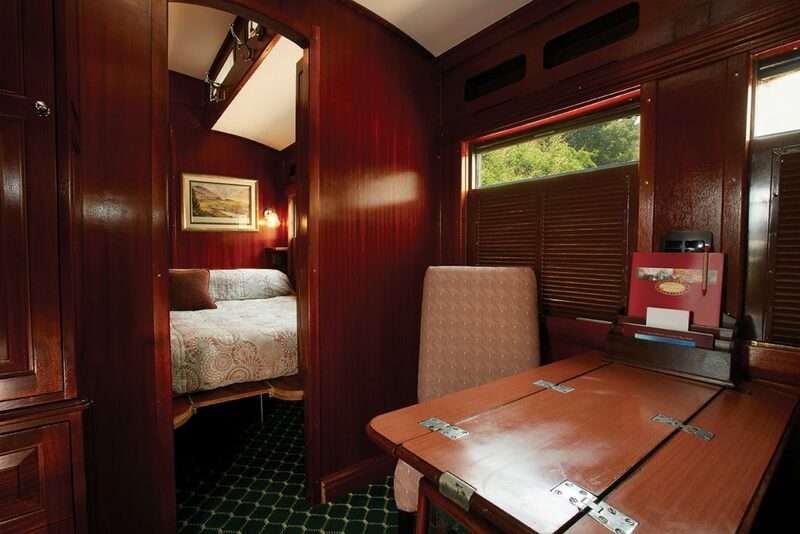 Deluxe Train with a private bathroom and shower in each cabin. 1 night 4 Star Deluxe hotel Pretoria. 1 night 3 Star First Class Game Lodge – Namib Desert. 2 nights 4 Star Deluxe lodge Etosha. 1 night 4 Star Deluxe Hotel Windhoek. Breakfast and Dinner throughout, plus many lunches on the train. Train includes a tour director from Johannesburg to Windhoek. Fun for Less Tours Staff throughout. 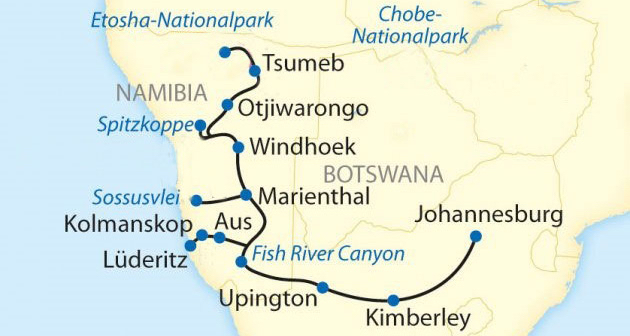 English-speaking tour guides from Johannesburg to Windhoek. All safaris, excursions and sightseeing including admission fees. Excursions and transfers in air-conditioned buses. 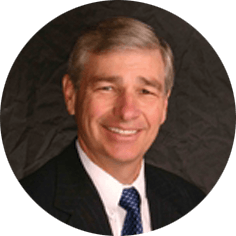 Special Guest Educator: Dr. S. Michael Wilcox. Does not include the optional extension to Madagascar. **Per person cash discount price, based on double occupancy. Does not include airfare, tips. Pre Day 1 – July 8: Fly to JFK if you are doing our group airfare. Today we recommend anyone who is doing the SLC or JFK group airfare to fly to JFK New York. We have included a hotel today for anyone who is doing the JFK or SLC airfare. Today the international flight from JFK to Johannesburg departs New York around 11am. Arrive into Johannesburg and transfer to your lodge near Pretoria. Welcome Dinner in the evening where you get to know your guides and the other passengers. After breakfast, you will go on a guided city tour through the South African capital Pretoria where you will see the Union Buildings, the Nelson Mandela statue and the house of Paul Kruger, the President of the former Republic of Transvaal. In the early afternoon, your train departs and crosses up to 9,000 ft high to Highveld. In the morning, your private train will reach the historical train station of Kimberley, the city of diamonds. At the end of the 19th century, the town experienced a real diamond rush, from which the diamond empire of De Beers emerged, led today by the Oppenheimer and founded by Cecil Rhodes. You can view the famous Big Hole, once the largest diamond mine in the world. We hope to have the opportunity to done miner headlamps and enter the mine. We also will visit the lovingly restored original buildings of Kimberley’s Belle Époque. Back on board, your train continues in the direction of Namibia. In the afternoon you arrive in Upington and go on an excursion to Augrabies National Park with its famous waterfalls. In the early evening, you will get back to the train and continue northbound. The Fish River Canyon, today’s highlight, is the second largest canyon in the world! Climb aboard the buses and enjoy the stunning views. There is also a chance to take a short walk along the canyon’s edge. Before sunset, there will be some time for a short excursion to a Quiver Tree Forest before your train continues. In the afternoon your train journey continues and you have the chance to attend a Biltong (traditional beef jerky) tasting session. Your day’s program begins with a bus ride through the Sperrgebiet (the “Restricted Diamond Area”) to the harbor town of Lüderitz. After crossing the historical Lüderitz peninsula, you reach the next highlight of the day – Diaz Point, set against the backdrop of the dramatic Atlantic waves. You continue to the ghost town of Kolmanskop, where the first diamonds were found in Namibia in 1908. Back on board at Aus station, your private train continues on its journey north. In the morning, arrival in Mariental, where buses will transfer you to your lodges (approx. 4 hours). The bus ride leads you mainly over unpaved roads via the Zarieshoogte pass into the plain of the Namib Naukluft National Park. Early morning is the best time to see the giant dunes of the Namib. Climbing a dune may be quite tough, but the panoramic view from the top over a sea of apricot-colored sand is reward enough! Open-top vehicles take you the last few kilometers along an unpaved sandy track to the Vlei, a salt-clay sink surrounded by sand dunes. On the way, you may well be fortunate enough to see oryx antelopes and springboks. The owners recently visited these sand dunes and climbed to the top, they had a wonderful experience. Return to Mariental and overnight on the train. In the early morning, your train leaves Mariental. It will stop at Usakos for an excursion to the granite peaks known as the “Spitzkoppe”. You will see ancient wall paintings and explore the hills where there are arches similar to those in Utah. Back on board, your train continues towards Otjiwarongo. On Safari Today we enjoy a full day exploring the wonders of the Etosha National Park. Your open-air game vehicles will cover most of the Etosha National Park. You will see elephants, giraffe, wildebeest, antelope and so much more! You may even see a lion or two. Return to your lodge and overnight. In the morning you will drive to where your private train is waiting for you. Your journey continues to Windhoek. In the evening you enjoy an African Braai (BBQ) at the tracks under a marvelous starry sky. After arrival in Windhoek, you will go on a city tour including the neo-Gothic Christ Church and the Tintenpalast, literally the “Ink Palace”, which houses the Namibian parliament. After that, you will visit the township of Katutura and a local market. You will be transferred to your hotel. NOTE: Those doing the Madagascar extension will fly this evening to Johannesburg so they can catch their flight to Madagascar in the morning. Overnight: 4-star deluxe hotel in Windhoek for the non-extension group OR 4-star deluxe hotel Johannesburg airport area for those going to Madagascar. Both hotels are included in the train package. This morning you will transfer to the airport for your flight back home. We will fly through the night arriving the next day. Those doing the extension to Madagascar will follow the itinerary below. Fantastic 6 day 5-night Madagascar extension includes two flights inside of Madagascar, BEST quality hotels available, all tours, entrance fees, transfers, guides, educator, tour managers, all breakfasts and most dinners and more. *does not include airfare to and from Madagascar. This is your one chance to visit Madagascar! Don’t Miss Out! After arrival in Windhoek, you will go on a city tour including the neo-Gothic Christ Church and the Tintenpalast, literally the “Ink Palace”, which houses the Namibian parliament. After that, you will visit the township of Katutura and a local market. This evening you will fly to Johannesburg where you will overnight near the airport. After a leisurely breakfast, we will transfer to the airport and fly to Morondava. Upon arrival, transfer to your hotel and check-in. Then we drive to Baobab Avenue where centuries-old trees line the road. These beautiful old trees once dominated the landscape but have become increasingly rare. In fact, when the first Arabian explorers landed here nearly 1000 years ago they dotted the landscape. These same explorers believed that the devil, in a fit of anger, ripped the trees from their roots and then replaced them upside down. At the conclusion of the day, we will return to the hotel. At dawn, you will drive to the Baobab Avenue to enjoy the play of light amongst the trees while enjoying a picnic breakfast. Then we drive to the dry deciduous forest area of Kirindy Reserve which is about a two-hour drive from Morondava for a chance to see and photograph Madagascar’s largest carnivore Fossa in wild. The Fossa is endemic to the Baobab forests and savannahs of Madagascar, in fact, this is the only place it can be found in the world. Then we drive back to Morondava. After the breakfast, we enjoy a canoe ride through the mangroves to visit a local fishermen village. Then we will transfer to the airport and fly back to Antananarivo. Upon arrival, we drive east to reach Andasibe NP, where we will overnight. We expect to arrive late in the evening. Today we enjoy the rainforest where we will take an easy hike in the Analamazaotra Nature Reserve. Though mother nature is unpredictable we hope for the chance of spotting the largest of all lemurs, the Indri, amongst other endemic animals and plants. In the afternoon you’ll proceed to “Lemur Island,” for an interesting and fun visit to a small reserve which is home to habituated lemurs. You’ll roam through the reserve, mixing with the Brown Lemurs, Bamboo Lemurs, the Black & White Ruffed Lemur, and a Diademed Sifaka. After the breakfast, we will drive back to Antananarivo, where you will be flying to Johannesburg and continuing on to the US.